Stemming from the earlier D VI, the D VII did not differ radically apart from a drastic revision of the tail surfaces. Engine, 195 h.p. Benz IIIb geared. Span, 9.66 m. (31 ft. 8 3/8 in.). Length, 6.1 m. (20 ft. 0 1/4 in.). Height, 2.5 m. (8 ft. 2 1/2 in.). Weights: Empty, 745 kg. (1,639 lb.). Loaded, 945 kg. (2,079 lb.). Speed, 192 km.hr. (120 m.p.h.). Climb, 6,000 m. (19,680 ft.) in 24 min. Duration, ca. 1 hr. Armament, twin Spandau machine-guns. The D VII, which was intended to participate in the third D-type Contest of October 1918, was essentially similar to the D VI apart from having completely redesigned vertical and horizontal tail surfaces. Like its predecessor, it was powered by a geared Benz Bz IIIbm eight-cylinder Vee engine driving a four-bladed propeller. Armament comprised the standard twin 7,92-mm synchronised machine guns, and only one prototype was completed. Max speed,119 mph (192 km/h). Time to 19,685 ft (6000 m), 24 min. Empty weight, 1,642 lb (745 kg). Loaded weight, 2,083 lb (945 kg). Span, 31 ft 8 1/3 in (9,66 m). Length, 20 ft 0 1/8 in (6,10 m). Height, 8 ft 2 1/2 in (2,50 m). which was built in 1918. The engine fitted in this type was also a 195 h.p. Benz eight-cylindered Vee, driving a four-bladed airscrew through reduction gearing. Probably owing to the fact that the engine was of the Vee type, and that, therefore, it was difficult in any case to provide a pointed nose to the machine, a front radiator was fitted. 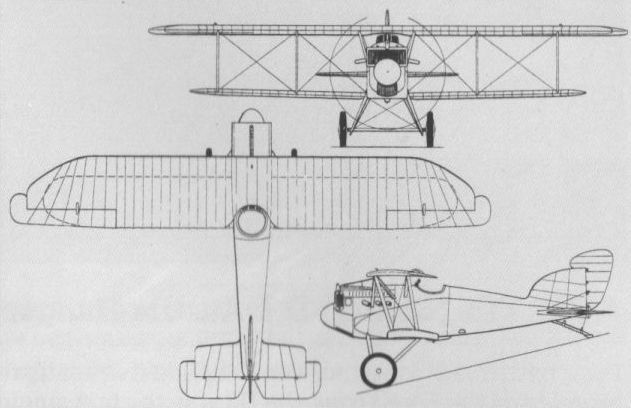 The machine is of slightly greater dimensions than the D III, and in a somewhat modified form is intended for use as a sporting biplane, to which reference will be made later. For post-War commercial use the Aviatik firm has several types in course of construction. These include machines of 200, 350, 1,000, and 1,500 h.p., the latter types carrying from 18 to 26 passengers. The Aviatik D VII was the last Aviatik single-seat fighter to be flight tested, and was fundamentally similar to the D VI apart from its tail surfaces. 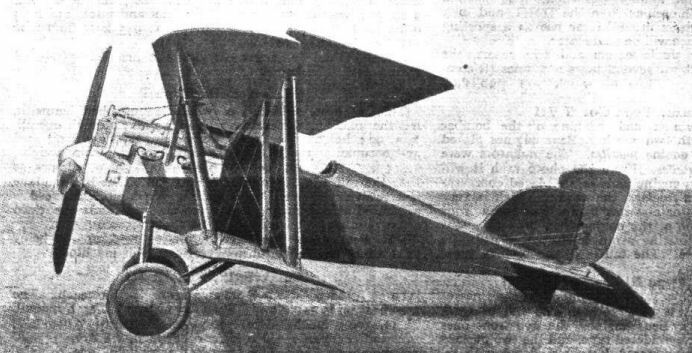 Another of the 1918 designs to find little favour was the compact Aviatik DVIII. Although its performance was reasonable it had an endurance of little more than one hour. 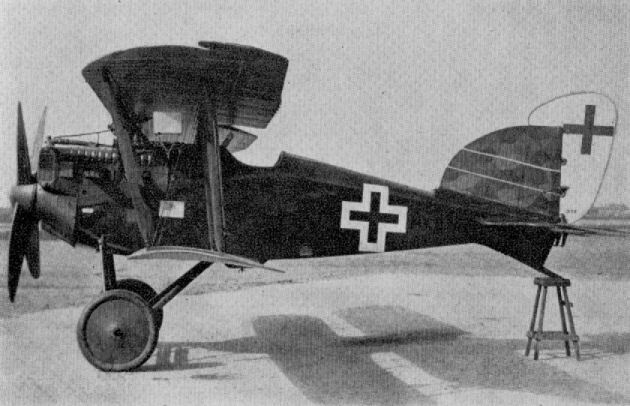 The Aviatik, Type D VII, Sporting machine.